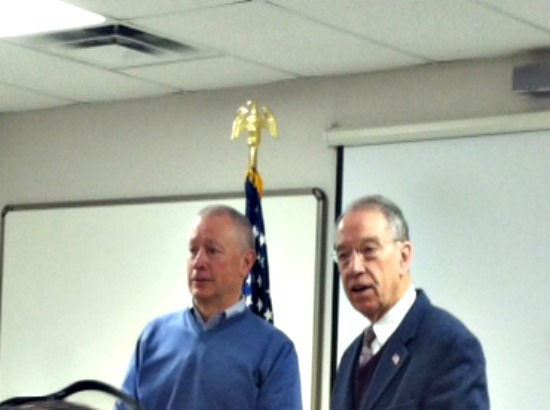 Clow Valve team members were excited to learn that Iowa Senator Chuck Grassley would stop by for a visit on March 20th, and they would have the opportunity to visit with Senator Grassley during his tour of the Machine Shop. 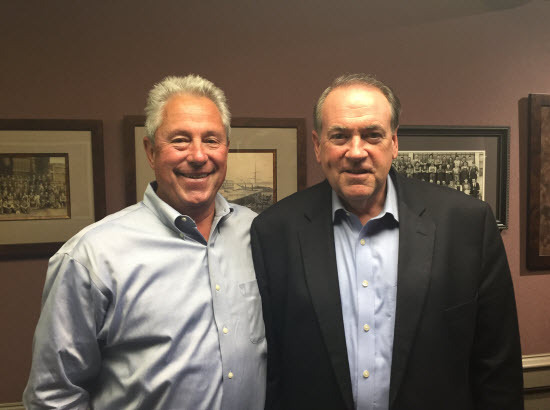 While serving as a delegate of the local community to discuss Iowa road improvements on a trip to Washington, D.C., Clow Valve General Manager Jim Wakefield invited Senator Grassley to stop by on his next trip to Oskaloosa for a tour and he called to tell them he would be dropping by in a couple weeks. Senator Grassley is no stranger to the manufacturing industry having worked as a sheet metal shearer and assembly line worker during his earlier career. He also grew up on a farm in Butler County where he still lives today. Sentaor Grassley holds the record for the longest record of not missing a vote of any senator currently in office. He makes a point to respond to every phone call, letter and email he receives from Iowans and communicates with them extensively online via Facebook and Twitter, as well as his own website.